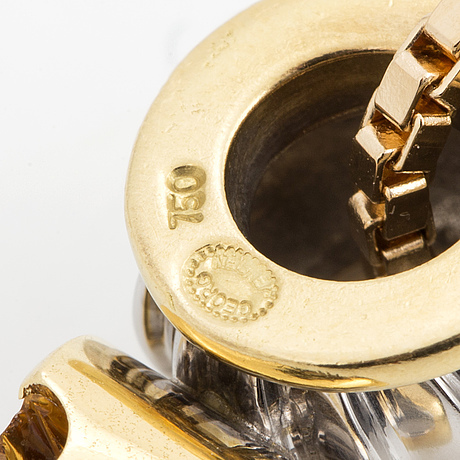 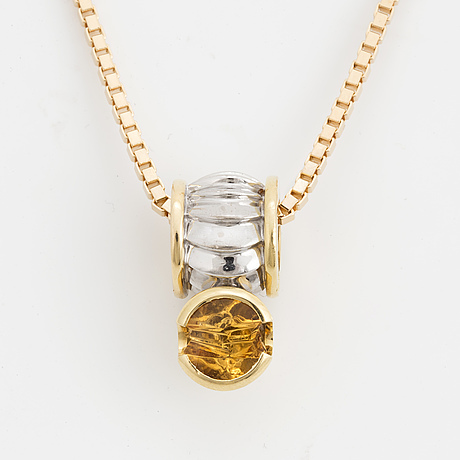 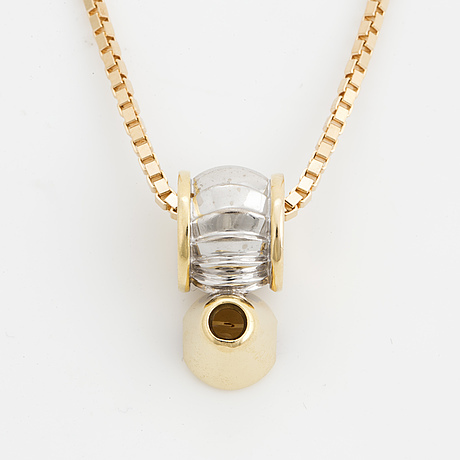 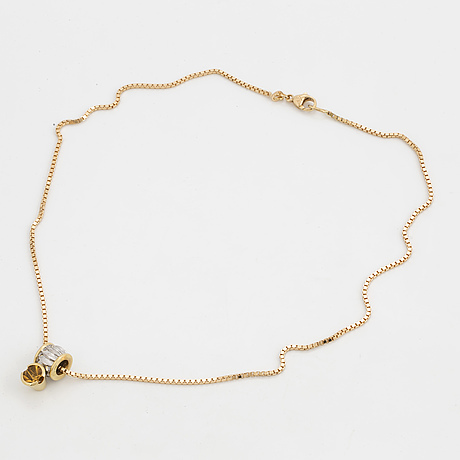 An 'On track' pendant by Jan Jörgensen for Georg Jensen set with a fantasy cut citrine. 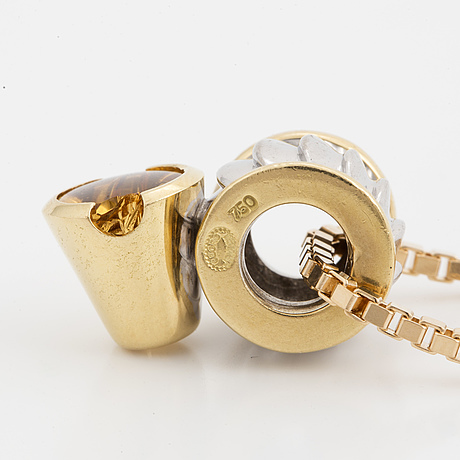 18K gold and white gold, dimensions ca 8 X 19 mm, weight ca 7 g, signed Georg Jensen. 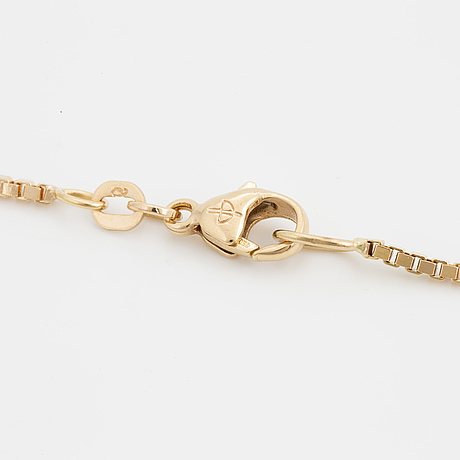 Chain 18K gold, length ca 45 cm, weight ca 9 g.